Throughout the years there were many cherished moments. 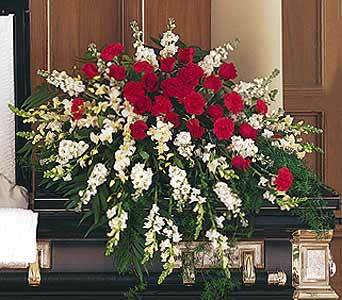 One half-couch casket spray features white stock, snapdragons and dendrobium orchids with a center cluster of red roses and carnations. Page loaded in 0.4983 seconds.